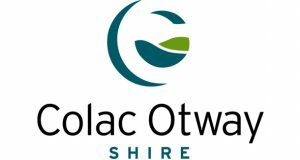 Two Elliminyt property owners have swayed Colac Otway Shire Councillors to change a 30-year Colac growth plan to better reflect how they want to develop their land. A Colac teen has won a $2000 prize, all for shopping local. Promising Colac junior athlete Ellinor Borrack has ended a 14-year-drought for Colac athletes at this year’s little athletics state championships. An Indigenous cultural officer says there are likely more Aboriginal burials near Colac’s Barongarook Creek, where road workers uncovered Aboriginal remains this week. Three prisoners from Warrnambool made a surprise pit stop in Colac this week when their transport truck caught fire. Patience is a virtue for members of Colac’s Baptist Church, with construction of a new church taking 12 months longer than expected. A campaign to raise the speed limit of the Princes Highway West has gained momentum, attracting support from motorists, media and parliamentarians. A Cororooke mother wants to see better fox control at a Princetown camping ground, after her son woke to a fox biting at his pillow. Juggy And people think Colac is boring. Rob Sinclair Not to mention the 1975 Wildlife Act!